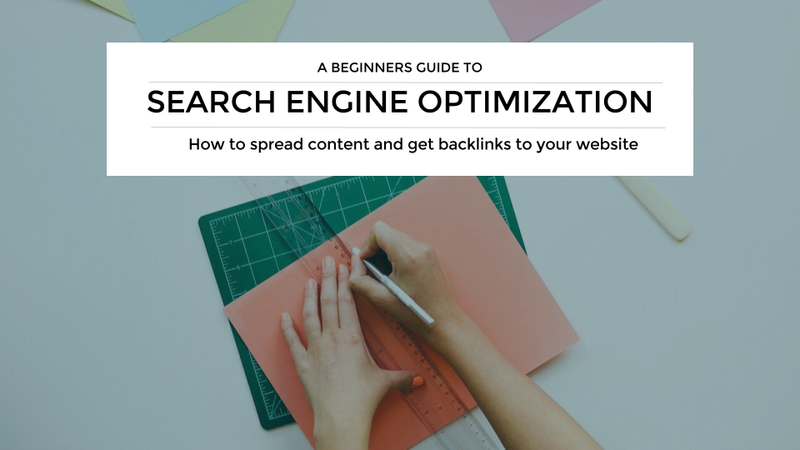 This article is the next step once you have got your most basic SEO groundwork done and focuses on how you can spread the useful content you have now produced and started to publish to get links to your website on specific topics and start to own them. SEO and content marketing go hand in hand. Some of these channels requires modification of the content, in terms of image cards or similar, its a small adjustment that will have big impact. But before you head into this remind yourself of your own company purpose and target audience in these channels, so that you don’t just push content, do it in a thoughtful way that aligns with your overarching strategy and of course is both useful and relevant for your target audience and on brand. So here is 16 ideas on how you can spread the word about the useful content you have now created, on topics you want to own that can help your customers. Create boards that reflect the customer journey and keyword analysis. Lets say you have a interior design company. Then create boards such as; Bathroom inspiration for small spaces, Design ideas for monochrome kitchen and so forth. Do a search on twitter to find questions relating to the content you have. See if you can find questions that relate to the content you have, that answer their questions. Then respond to the people you find that have the questions with links to your content. Tweet useful tweets with links to your content in popular hashtags. Do not try and invent your own, use existing ones. See what is trending and use those hashtags if its relevant to what you have to say. Be creative here, by jumping on a trending topic. Groups – identify a few large groups where you can respond to questions in a useful way and with your response add links to your content to help someone further. Your company facebook page – how can you post relevant updates with links to your content that is useful for your followers? This may be mostly applicable to B2B and consultants, however, before it was bought by LinkedIn, this can also be a useful tool to create presentation for yourself, your service, how something works (relating to your business) and add this to your profile and embed on your website. If you run a business, you should have a LinkedIn company page. Mix in updates with links back to your content, if useful for your followers and inline with your brand. Ensure that your images are appropriately named as per your selected keywords to increase visibility in Google. Can you use the photos from your content in a useful way, that also reflects your brand and business on instagram in an engaging way? or perhaps use quotes from content? use popular and relevant hashtags when posting. Here a list on the 1500 most popular hashtags right now. Videos should be added to a Youtube channel for your company. This is the second largest search engine in the world where “how to” searches rule. Therefore your videos should be named accordingly as well as your playlists. The selected keywords from your keyword analysis should be used here to. Groups – identify groups that you can join and again, answer questions. Create a business page and profile – post content and tag it appropriately. If you have publications of some sort, you can either upload these here directly on to issuu or you can upload previews with links to your website. However, there are a multitude of these sites to submit photos and links to, the best way is to google to find these and set up profiles and start to submit your photos and links. If there are any specific and large forums for your specific niche, identify them and become active in answering questions with links to any relevant and useful content in each answer. Once you have enough content on your website. You can start to incorporate this to any newsletter you may have. Make it useful and relevant. Perhaps you own a travel business. Why not include a summer holiday checklist for someone who has booked a holiday trip with you during summer. Or you are a food blogger – why not start the new year to collect your most healthy recipes and email out a selection with tantalizing images and links to your website? Is there any complimentary brands you can team up with. Can you swap content for newsletters? or write guest post or articles for each others websites? how can you team up and work togeheter? To ge featured on websites for magazines or life style magazines use prnewswire.com or similar to your country or if there are any industry specific PR distribution platforms and sites relevant for your business. If you google your topic you may find even more social media platforms to join that are not known to everyone but still have a huge amount of activity and users passionate about a specific topic or lifestyle choice. Find one of these and you have plenty of opportunities to find your niche target audience and be both relevant and helpful to them. To structure your work – you can add (or make) a distribution plan to your content calendar (or plan). Insights – if you need additional insights (and relevant traffic to convert of course) run an AdWords campaign. It will give you an insight on your quality score for specific keywords (i.e find more things to fix on your website), new keywords ideas etc. Invest 6 months in spreading across all platforms, then evaluate the top performing platforms and collaborations, then focus on them and cut out the other ones from your plan. You can also automate some of the posting using tools such as Hootsuite and similar. However you can never automate a authentic response, dialoge or connection. Link baiting is one of the most effective ways of seeking natural links from other websites. Link baiting involves having a tool, service or information that draws curiosity and attracts visitors and links to your website.